I have my students compose from very earlier on in their instruction. Teachers should have their students begin composing by writing chord progressions. The first chords students should be learning are in the key of G. So, if the students know only a G, C, Em, and D7, they could be assigned to write a chord progression using those chords. The students should show how many times to strum the chord and the order of the chords. They don’t have to know which chords usually follow which chords. After writing chord progressions using the chords they know, the students can use more chords and show how many measures the chords get and what strum patterns to use in the measures. Not too long into the student’s instruction, the students can be shown how to find which chords go together in a key by using the modified circle of fifths (the chord clock) that is in the Consonus method. Then, have them write cord progressions in various keys. Now that the students know how chords “progress,” show them how to embellish chords. Keep the embellishments basic. For example, adding 7 to the V chord (D7 in the key of G) and m7 to the iii, vi, and ii chords, or adding maj7 or add9 to the I or IV chords. Students will be fascinated by how adding simple embellishments to chords adds color to the music. One technique that works in teaching students how to write melodies is using chord tones (beginning with one chord tone per measure) and connecting the chord tones with notes from the scale of the key of the piece. 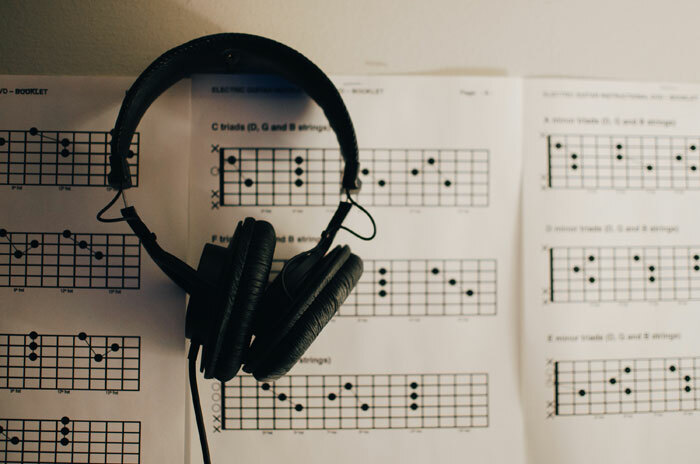 Also, after writing a chord progression, many of the students will be able to make up a simple melody by singing a melodic line by ear with the chords. Don’t complicate things by trying to give too much information at one time. This approach to improvisation only skims the surface of the material to be learned that deals with composition. But, it’s a user-friendly start to what can be a rewarding experience. This is an excellent lesson! I can use this approach with some of my students. However, I think it can be a little advanced for basic beginner students. I feel they should know how to switch well between chords first? Before writing some of the chord progressions, it’s true that the students should be able to change chords rather quickly and smoothly. Even if they only know a few chords, they should be comfortable changing them. However, that being said, even if students only know two or three chords, they can write their own progressions showing how many times to strum each chord and the order the student would like them played. The student’s original progressions actually turn into exercises for them to practice changing chords. Because much of the chording material for beginners is in the key of G, they can be safe in writing their own progressions in the key of G, and they will most likely sound good. For example, if a student only knew the G, G7, and C chords, they could write a chord progression such as: strumming the G chord eight times, then the C chord four times, then the G four times, the C once and finally, the G three times. As the chords D7 and Em are added into the mix, the students could include those chords in their original progressions.